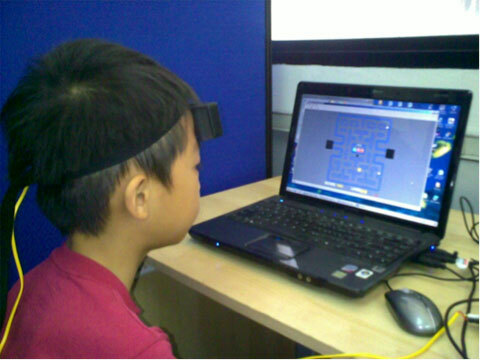 The usage of Neurofeedback to treat a host of learning disabilities, as well as chronic problems, in Singapore is relatively new. Neurofeedback was started in the US way back in the 60s and 70s under terms such as biofeedback or brain waves control. According to Jim Robbins, an investigative reporter and author of A Symphony In The Brain, he found that “the technique had been spawned by solid laboratory research on epilepsy…” Yet as he studied this highly effective treatment method, he was also wondering why he had not heard of it or that more people were talking about it. For us at BEC, after treating more than 500 children suffering from autism, and seeing their improvements for themselves and for their family, it has become our mission to get more people informed, more people treated and more people to understand the marvels, and limits of this great instrument. Neurofeedback is a process in which we train the brain to help improve its ability to regulate all bodily functions and to take care of itself. Just as biofeedback machines supply doctors and health professionals with feedback from the body, neurofeedback provides the neurotherapist with feedback from the brain in the form of various brainwave patterns as they are distributed throughout the brain. Examples of these brainwaves are the delta, theta, alpha, beta, and gamma waves. Electrodes or sensors are placed on the scalp. The electrodes pick up the brainwave activity of the client and relay this to the special amplifier (Atlantis 4×4) and the readout is displayed on the computer screen. The therapist sets certain training criteria in the computer software and if the brain fulfils these criteria, then the brain gets rewarded in the form of auditory and/or visual cues (sound and images). There is no electrical input to the brain at all so neurofeedback is a totally non-invasive procedure. Once the brain gets its reward through auditory and/or visual feedback), there is a great tendency for the brain to move towards self-regulation thus resulting in optimal functioning. Neurofeedback utilizes highly specialized equipment to re-train the brain. The process normalizes brain wave patterns thus enhancing performance and correcting cognitive deficits. 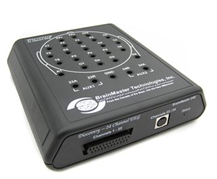 Our clinic utilizes the latest technology from Brainmaster Technologies. The newly acquired equipment is the Discovery 24-channel EEG and DC amplifier. This machine is the latest evolution of the technology used in the 2E and 2EA (Atlantis) series of EEG biofeedback devices. Today, the world of neurofeedback is undergoing a transformative period with many new approaches and procedures for practitioners. Among one of the most effective, powerful and most innovative procedures is Z-Score Training. The Z Score DDL provides in real time, a total of 72 real-time values for 2 channels and 248 real-time values for 4 channels computed on a continuous basis, by the ANI Z DDL software. These calculations are performed more than 30 times per second, and provide data useful for training, as well as for assessing the current condition of the trainee, via their normative EEG scores on any of the 72 or 248 components. The most important thing about live Z score training is that it is scientific. It is based upon published research and a well-documented normative database. It uses concepts that have been proven in clinical research to lead to beneficial outcomes. It eliminates guesswork, and reduces the risk or over- or under-training key parameters including coherence, phase, and asymmetry. Z score training with 4 channels can address the whole head, and normalize activation, relaxation, concentration, focus,connectivity, control, and communication. Z score training can provide a complex task that addresses whole brain function in a single protocol. 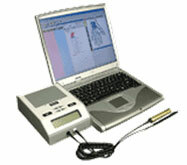 We also have the HEG (hemo-encephalo-graphy) device to measure brain function by measuring the blood flow in the brain. It is a new form of brain training that is showing great promise. Brain blood flow is voluntary and can be trained using neurofeedback procedures. Active areas of the brain are marked by high oxygen density and higher than normal temperature. The blood carries the fuel for the brain: oxygen and glucose. When an area of the brain is more active, it has increased blood supply as the capillaries in the area are dilated. With continued use, more capillaries and more synaptic connections between neurons are built in that area. When we increase blood flow, that area of the brain is able to do its job better and with greater efficiency. HEC training is very effective in the treatment of brain injury, autism, epilepsy, stroke, depression, schizophrenia, and ADD/ADHD. Alpha/theta training involves placing electrodes on the parietal lobe. With eyes closed, the client listens to a reward in the form of sound for the alpha and theta frequencies. These frequencies are best known for their relaxation and creative qualities. Studies have indicated that the alpha/theta training results in significant increases in abstract-thinking, physiological stability, conscientiousness, boldness, imaginativeness, and self-control. It is common to use this protocol for addiction disorders, anxiety, meditation enhancement, peak performance training and stress reduction. The alpha/theta protocol takes the client to a very specific frequency range — 4 to 12 hertz – through which emotionally painful events are easily accessed and resolved. Who are The People Who Have Benefited from Neurofeedback? What the Medical and Scientific Community Say About Neurofeedback? Our clinic operates the Bioset Machine called the Interactive Query System to detect the presence of allergies in a client. Once allergies are detected, we use Bioset Digestive Enzymes, Systemic Formulas and Homeopathic remedies to greatly reduce or eliminate allergic reactions. Sensitivity desensitization: Bioenergetic evaluation of organ stress and nutritional status followed by the elimination of allergic responses and sensitivities through a revolutionary, non-invasive technique based on acupressure meridians and immunology.